Is Dwayne Johnson familiar with the concept of a holiday? At least based on the actor’s jam-packed IMDb page, you wouldn’t think so. From The Fate of the Furious through until 2019’s Shazam movie, Johnson has lined up no less than 11 projects – Black Adam included – and that’s before you even factor in The Rock’s TV work like the ongoing HBO drama, Ballers. 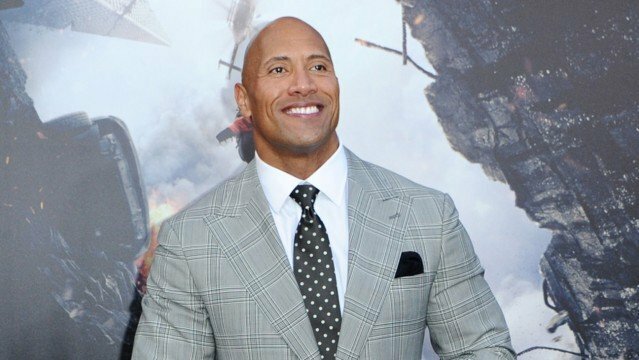 One such feature film that found its way onto that slate last year was Skyscraper, a Towering Inferno-esque action movie in which Dwayne Johnson is set to play a disabled US War Vet and former FBI Hostage Rescue Team leader. It also heralds a reunion between the actor and his Central Intelligence director, Rawson Marshall Thurber, though the creative duo is gearing up to tackle a whole new kettle of fish. As the project begins to coalesce, we now have confirmation via Johnson’s Instagram page that Skyscraper will swing its doors open on July 13th, 2018. Buried in that announcement were some fleeting plot points, including how The Rock’s unnamed protagonist is “inspired by the thousands of disabled US veterans and war heroes.” The story, one crafted by Rawson Thurber himself, centers on the world’s largest skyscraper just as it erupts into flames, all the while Johnson’s family are trapped on the top floor. Sending The Rock off on a one-man mission to save his endangered family turned out to be a winning formula in 2015 disaster pic San Andreas, which is set to get a sequel of its own. As things stand, Skyscraper will open opposite Hotel Transylvania 3, Conjuring spinoff The Nun, and Paramount’s Amusement Park on July 13th, 2018. Closer to home, Johnson also has Universal’s balls-to-the-wall action sequel The Fate of the Furious (April 14th) and Jumanji, the ambitious continuation that’s pegged for release in December of 2017. What’s more, the latter is all set to unveil its first trailer before the end of the month.